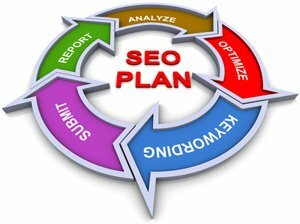 Search Engine Optimization – commonly known as SEO – is critical for the success of your web site. Creating a web site without SEO is like opening a new business, but not having an signage, name on your door, or any advertising, yet still expecting to be successful. SEO helps teach search engines to find your web site and place your web site at the top of search lists so people looking for services and wares like yours will see you first. Being at the top of a list is great, somewhere down towards the middle is less good, but being last is unbearable and unprofitable. Without SEO, you could always end up towards the bottom of lists. One of the ways SEO is accomplished is by linking key words with your site; this is accomplished by using the mechanics of your site, not necessarily the direct content shown on the screen. Key words are hot buttons search engines seek out. As an example, you may have a web site which sells shoes in addition to your retail store in Dumfries, Virginia. Your local customers, wanting to do some Internet window shopping before coming into your retail store, but can’t quite remember the full name of your store would type “shoes Dumfries Virginia” into their search engine, be it Google or Bing or any other search engine. Since you’re only one of three shoe stores in Dumfries, your web site will easily appear in the search results. Now, though, you want to sell shoes through the same web site to people all over North America. Site visitors from Lordsburg, New Mexico looking for shoes won’t know – or care – you’re in Dumfries; they just want the best deal on shoes they’re looking for, which are boots for police officers. And, you have the best deal on Smith & Wesson boots. So, your key words, in addition to “shoes Dumfries Virginia” would also be “police officer shoes boots Smith & Wesson work” to reflect different thoughts people would have when searching for Smith & Wesson boots. Search Engine Optimization is like art – many people understand it and admire it, but few are really good at it to everyone’s satisfaction. Good SEO practices as a result of keeping up with the latest Internet industry trends are best found through professionals, such as Small Business SEO. Leaving out just one key word could cost you a world of business.